Thanks be to God! 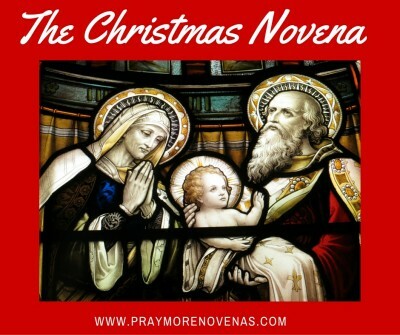 During the Christmas Novena I prayed that God would help me to heal my relationship with an estranged adult child; midway through the novena this past week she visited my home for the first time in three years and promised to come see me this next week! The most special of Christmas blessings! Glory be to the Father, and to the Son, and to the Holy Spirit! Dear Lord and Mother Mary, thank you very much for our daily blessing that you have given to us especially today an unexpected bonus of my husband in his fulltime job. This is a big help for our family to pay some of our bills, utilities and some food. Continous pray for us for financial struggles so that we can support our family back home about their needs in financial. Pray my son will always humble and to ask a forgiveness to me and my husband for saying bad words and shouting. Pray my son to remove his shopping addiction I want him to be closer to you Lord. Always guide and pray my family for good health, love, unity, mutual understanding, peace and respect. Guide them on their work and protect from danger. Give miracle for the victory of my case regarding my medical condition. Pray my doctor’s to give us good report to the Revenue Tax so that we will approve for the disability tax credit for appealing. Pray T to become humble and talk to me as Christmas gift. Again Lord thank you very much. Most blessed Mother Mary, Jesus and Joseph. May all the angels and Saints intervene for me on behalf of my spouse and myself. Jesus instituted the sacrament of marriage, the Bride representing the Church and the groom representing Christ. A Holy Spiritual Union. Heal our relationship to be more Holy and Spiritual. I want to give all of myself to my husband where I’m not objectionably his. I don’t feel his love completely due to his attitude towards me during the day in our marriage. I feel that he wants a small part of me physically in order to feed his personal fulfillment. I feel that my husband resents me for holding back and lacks understanding towards me. I want all of my husband but I’m holding back b/c of hurts that need to be healed completely so that we can move forward. Please cure me let me do thy will with a healthy body. I ask for healing, emotionally, physically, mentally. I ask for healing of my feet. that this pain goes away and I will be able to walk without pain. To be healthy once again. Heavenly father I place my finances into your hands. Please Lord I pray for money to pay my son’s tuition fees. I pray that he be successful in his exams with high grades. Lord, please let me pass all my subjects and graduate this april 2017. Please also heal the relationship of mommy and nanay. Please bless and protect kuya ian, ate bebon and dacce. Keep my family safe. Heal also daddy from his sickness. Lastly, i pray for the safety of the people in aleppo syria and to other places where there is war. You are not alone! I am currently pregnant and undergoing divorce. Rest in God’s peace knowing that all things work together for God’s greater glory.